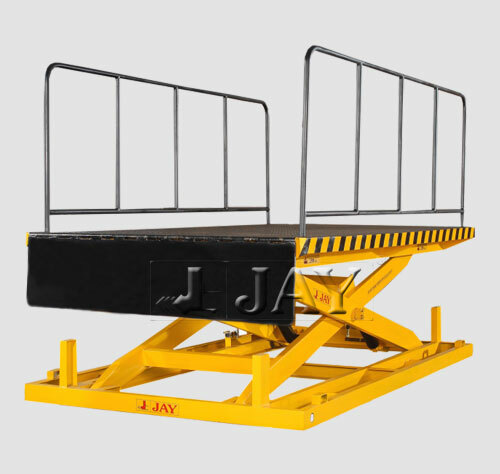 'JAY' Electric Scissor Lift Tables are ideal and most innovative material handling equipment, for loading / unloading operation, shifting of material from one floor to another. 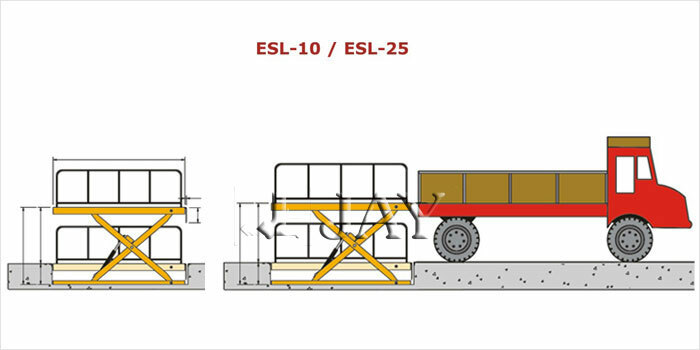 ESL-25 is also used where difference in level exits between loading area and transport vehicle, machine beds etc. 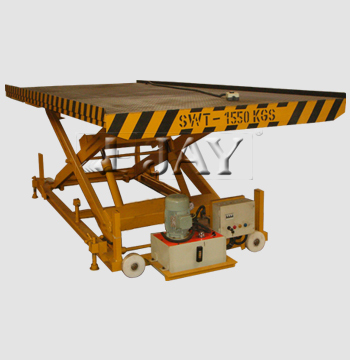 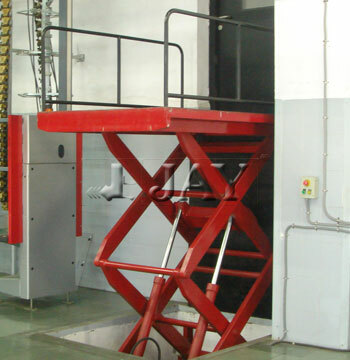 The Electric Scissor Lift Table is a versatile equipment to bridge height differences and to move goods between different levels in production lines, at the same time, it saves labour, cost & time, and also eliminates accidents & maintains product quality on handling. 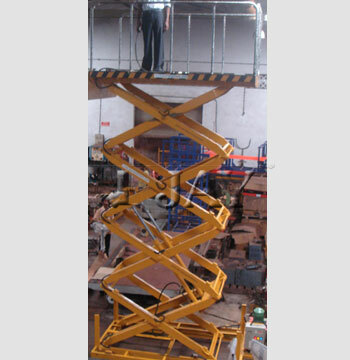 Two designs are provided suiting to various weight applications, the ESL-25 for 2,500 kg. 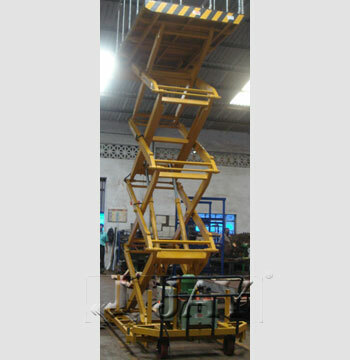 These are equipped with AC hydraulic power pack, which includes an electric motor, hydraulic gear pump, solenoid valve, oil reservoir, and oil level indicator, pressure release valve, and pressure gauge. 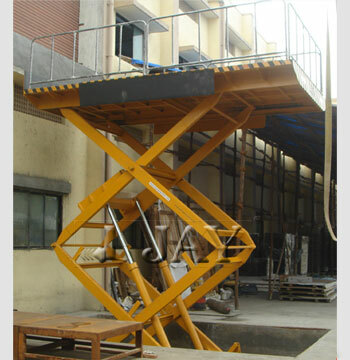 These designs are have a hydraulic cylinder made from seamless tube and hard chrome plated piston rod. 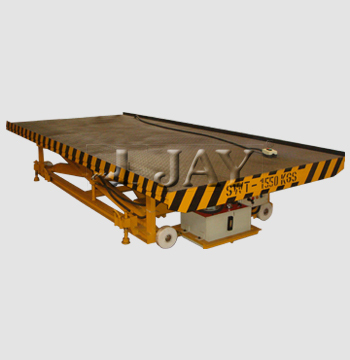 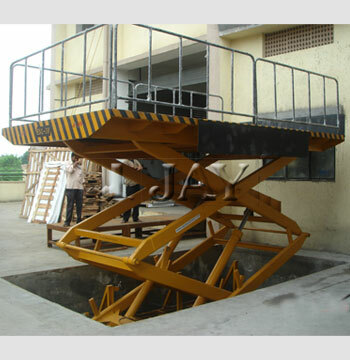 We at 'JAY' also provides special equipment upto 6 mtrs. 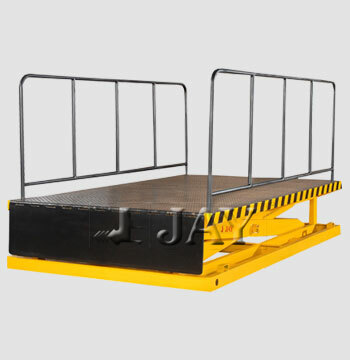 lift height and load capacity upto 8 tonnes. 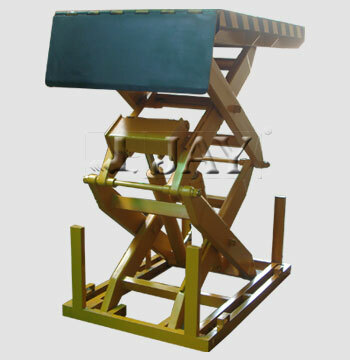 It is also available in mobile versions.